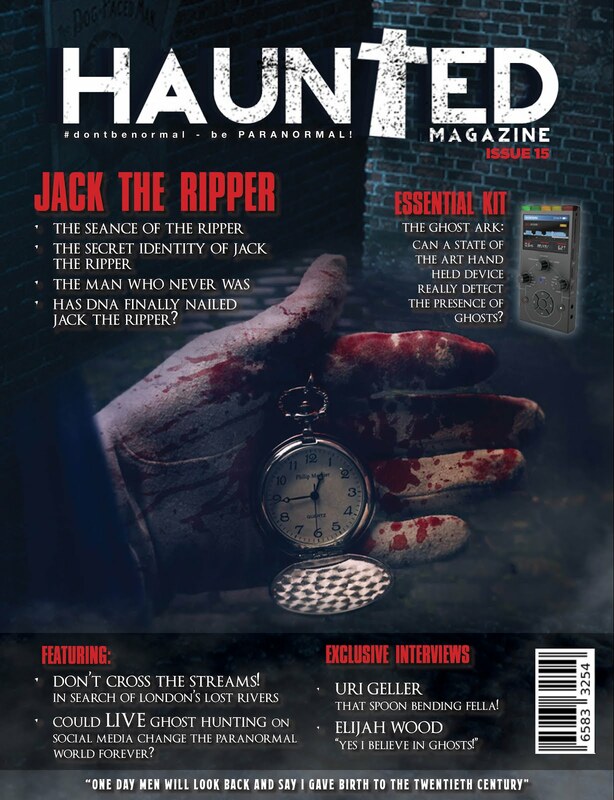 Haunted Magazine: EVERYTHING YOU WANT TO KNOW ABOUT HALLOWEEN BUT CAN'T BE BOTHERED TO ASK? 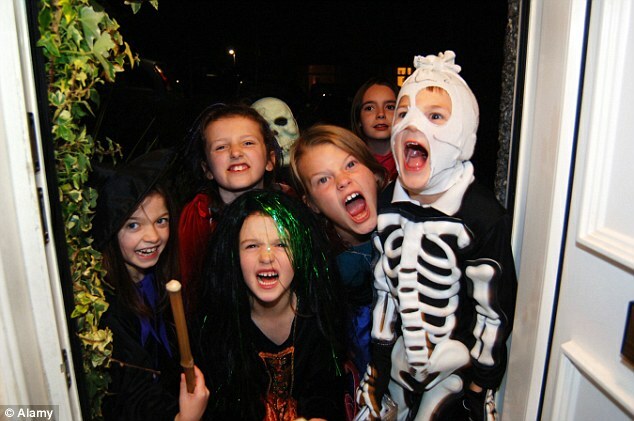 EVERYTHING YOU WANT TO KNOW ABOUT HALLOWEEN BUT CAN'T BE BOTHERED TO ASK? GOT THE HALLOWEEN BLUES? SUFFERING FROM A HALLOWEEN HANGOVER? MISSING KIDS KNOCKING ON YOUR DOOR ASKING FOR SOME SHERBET DIP? 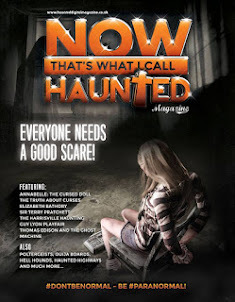 Well fear not cos here at Haunted Magazine, we have come up with the perfect antidote, the perfect prescribed paranormal paracetamol, an alternative and definitive history of Halloween, who started it, why is it still happening, what have those crazy Americans got to do with it and other stuff like that? Now, you're probably thinking "hey why didn't you do this before Halloween?" and you'd be right to think that but hey we are a crazy mixed up bunch here at Haunted and we thought "who else would do a guide to Halloween after Halloween?" NO ONE, that's who? Whether that's because everyone else has done theirs that is irrelevant, well we think so. Sit back, enjoy the fireworks, Movember, Children in Need, Thanksgiving, Christmas* (delete as appopriate) and pretend it's October 31st and you're looking at a half empty bag of Haribos thinking "can life get any better?" SO WHAT THE BLOODY HELL IS HALLOWEEN? Straddling the line between autumn and winter, plenty and paucity, life and death, Halloween is a time of celebration and superstition. It is thought to have originated with the ancient Celtic festival of Samhain, when people would light bonfires and wear costumes to ward off roaming ghosts. In the eighth century, Pope Gregory III designated November 1 as a time to honour all saints and martyrs; the holiday, All Saints’ Day, incorporated some of the traditions of Samhain. The evening before was known as All Hallows’ Eve and later Halloween. Over time, Halloween evolved into a secular, community-based event characterised by child-friendly activities such as trick-or-treating. In a number of countries around the world, as the days grow shorter and the nights get colder, people continue to usher in the winter season with gatherings, costumes and sweet treats. So who is to blame for this Halloween malarkey? "One quarter of all the sweets sold annually in the UK is purchased for Halloween"
"COME ON AND BOB FOR MY APPLE"
By 43 A.D., the Roman Empire had conquered the majority of Celtic territory. In the course the four hundred years that they ruled the Celtic lands, two festivals of Roman origin were combined with the traditional Celtic celebration of Samhain. The first was Feralia, a day in late October when the Romans traditionally commemorated the passing of the dead. The second was a day to honour Pomona, the Roman goddess of fruit and trees. The symbol of Pomona is the apple and the incorporation of this celebration into Samhain probably explains the tradition of “bobbing” for apples that is practised today on Halloween. "SO LET ME GET THIS RIGHT, THE POPES, THOSE RELIGIOUS DUDES BUILT UP THE MOMENTUM OF HALLOWEEN? (Oh yes, well sort of)"
IS THE MAN TO BLAME FOR YOUR KID'S TEETH? On May 13, 609 A.D., Pope Boniface IV dedicated the Pantheon in Rome in honour of all Christian martyrs, and the Catholic feast of All Martyrs Day was established in the Western church. 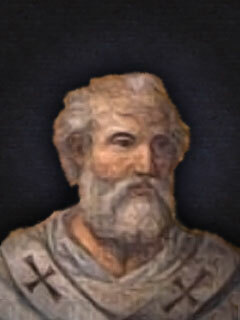 Pope Gregory III (731–741) later expanded the festival to include all saints as well as all martyrs, and moved the observance from May 13 to November 1. By the 9th century the influence of Christianity had spread into Celtic lands, where it gradually blended with and supplanted the older Celtic rites. In 1000 A.D., the church would make November 2 All Souls’ Day, a day to honor the dead. It is widely believed today that the church was attempting to replace the Celtic festival of the dead with a related, but church-sanctioned holiday. All Souls Day was celebrated similarly to Samhain, with big bonfires, parades, and dressing up in costumes as saints, angels and devils. The All Saints Day celebration was also called All-hallows or All-hallowmas (from Middle English Alholowmesse meaning All Saints’ Day) and the night before it, the traditional night of Samhain in the Celtic religion, began to be called All-hallows Eve and, eventually, Halloween. AMERICA COMES LATE TO THE HALLOWEEN PARTY! Celebration of Halloween was extremely limited in colonial New England because of the rigid Protestant belief systems there. 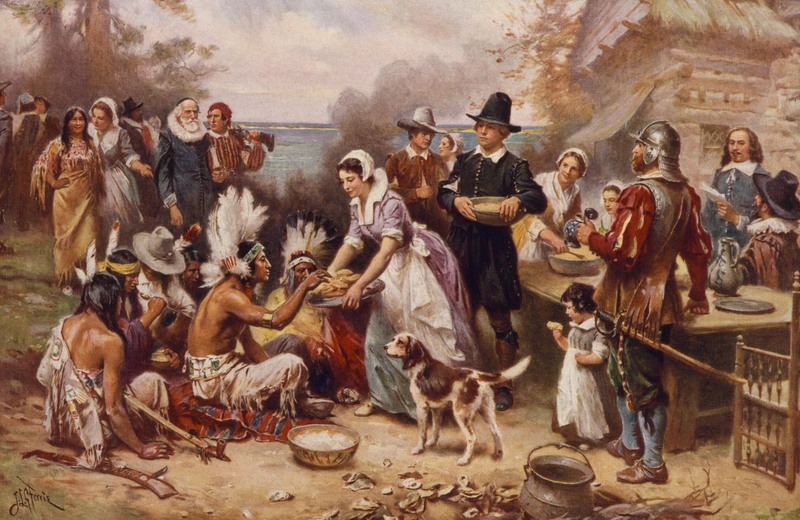 Halloween was much more common in Maryland and the southern colonies. As the beliefs and customs of different European ethnic groups as well as the American Indians meshed, a distinctly American version of Halloween began to emerge. The first celebrations included “play parties,” public events held to celebrate the harvest, where neighbours would share stories of the dead, tell each other’s fortunes, dance and sing. Colonial Halloween festivities also featured the telling of ghost stories and mischief-making of all kinds. By the middle of the nineteenth century, annual autumn festivities were common, but Halloween was not yet celebrated everywhere in the country. "BUT WHEN IT FINALLY CAME TO THE PARTY, OH BOY, IT ALL KICKED OFF"
In the second half of the nineteenth century, America was flooded with new immigrants. These new immigrants, especially the millions of Irish fleeing Ireland’s potato famine of 1846, helped to popularise the celebration of Halloween nationally. Taking from Irish and English traditions, Americans began to dress up in costumes and go house to house asking for food or money, a practise that eventually became today’s “trick-or-treat” tradition. Young women believed that on Halloween they could divine the name or appearance of their future husband by doing tricks with yarn, apple parings or mirrors. In the late 1800s, there was a move in America to mold Halloween into a holiday more about community and neighbourly get-togethers than about ghosts, pranks and witchcraft. At the turn of the century, Halloween parties for both children and adults became the most common way to celebrate the day. Parties focused on games, foods of the season and festive costumes. Parents were encouraged by newspapers and community leaders to take anything “frightening” or “grotesque” out of Halloween celebrations. Because of these efforts, Halloween lost most of its superstitious and religious overtones by the beginning of the twentieth century. By the 1920s and 1930s, Halloween had become a secular, but community-centred holiday, with parades and town-wide parties as the featured entertainment. Despite the best efforts of many schools and communities, vandalism began to plague Halloween celebrations in many communities during this time. By the 1950s, town leaders had successfully limited vandalism and Halloween had evolved into a holiday directed mainly at the young. Due to the high numbers of young children during the fifties baby boom, parties moved from town civic centres into the classroom or home, where they could be more easily accommodated. 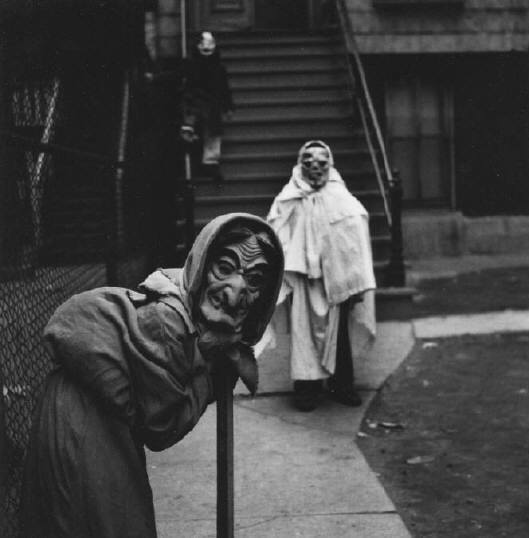 Between 1920 and 1950, the centuries-old practise of trick-or-treating was also revived. 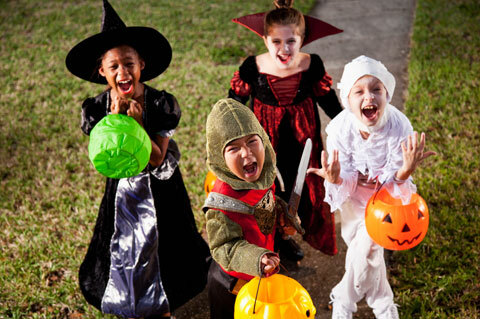 Trick-or-treating was a relatively inexpensive way for an entire community to share the Halloween celebration. In theory, families could also prevent tricks being played on them by providing the neighbourhood children with small treats. A new American tradition was born, and it has continued to grow. Today, Americans spend an estimated $6 billion annually on Halloween, making it the country’s second largest commercial holiday. The American Halloween tradition of “trick-or-treating” probably dates back to the early All Souls’ Day parades in England. During the festivities, poor citizens would beg for food and families would give them pastries called “soul cakes” in return for their promise to pray for the family’s dead relatives. The distribution of soul cakes was encouraged by the church as a way to replace the ancient practise of leaving food and wine for roaming spirits. "The practise, which was referred to as “going a-souling” was eventually taken up by children who would visit the houses in their neighbourhood and be given ale, food, and money"
The tradition of dressing in costume for Halloween has both European and Celtic roots. Hundreds of years ago, winter was an uncertain and frightening time. Food supplies often ran low and, for the many people afraid of the dark, the short days of winter were full of constant worry. 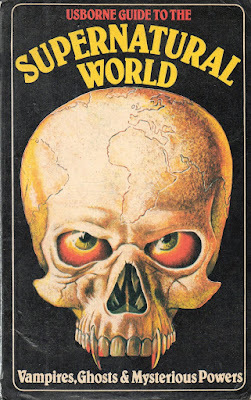 On Halloween, when it was believed that ghosts came back to the earthly world, people thought that they would encounter ghosts if they left their homes. To avoid being recognised by these ghosts, people would wear masks when they left their homes after dark so that the ghosts would mistake them for fellow spirits. On Halloween, to keep ghosts away from their houses, people would place bowls of food outside their homes to appease the ghosts and prevent them from attempting to enter. HALLOWEEN traditions & superstitions. Halloween has always been a holiday filled with mystery, magic and superstition. It began as a Celtic end-of-summer festival during which people felt especially close to deceased relatives and friends. For these friendly spirits, they set places at the dinner table, left treats on doorsteps and along the side of the road and lit candles to help loved ones find their way back to the spirit world. Today’s Halloween ghosts are often depicted as more fearsome and malevolent, and our customs and superstitions are scarier too. 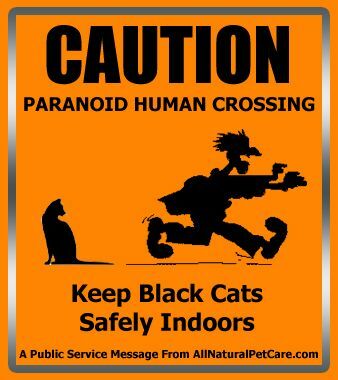 We avoid crossing paths with black cats, afraid that they might bring us bad luck. This idea has its roots in the Middle Ages, when many people believed that witches avoided detection by turning themselves into cats. We try not to walk under ladders for the same reason. This superstition may have come from the ancient Egyptians, who believed that triangles were sacred; it also may have something to do with the fact that walking under a leaning ladder tends to be fairly unsafe. And around Halloween, especially, we try to avoid breaking mirrors, stepping on cracks in the road or spilling salt. But what about the Halloween traditions and beliefs that today’s trick-or-treaters have forgotten all about? Many of these obsolete rituals focused on the future instead of the past and the living instead of the dead. In particular, many had to do with helping young women identify their future husbands and reassuring them that they would someday—with luck, by next Halloween—be married. In 18th-century Ireland, a matchmaking cook might bury a ring in her mashed potatoes on Halloween night, hoping to bring true love to the diner who found it. In Scotland, fortune-tellers recommended that an eligible young woman name a hazelnut for each of her suitors and then toss the nuts into the fireplace. The nut that burned to ashes rather than popping or exploding, the story went, represented the girl’s future husband. (In some versions of this legend, confusingly, the opposite was true: The nut that burned away symbolised a love that would not last.) Another tale had it that if a young woman ate a sugary concoction made out of walnuts, hazelnuts and nutmeg before bed on Halloween night she would dream about her future husband. Young women tossed apple-peels over their shoulders, hoping that the peels would fall on the floor in the shape of their future husbands’ initials; tried to learn about their futures by peering at egg yolks floating in a bowl of water; and stood in front of mirrors in darkened rooms, holding candles and looking over their shoulders for their husbands’ faces. Other rituals were more competitive. At some Halloween parties, the first guest to find a burr on a chestnut-hunt would be the first to marry; at others, the first successful apple-bobber would be the first down the aisle. 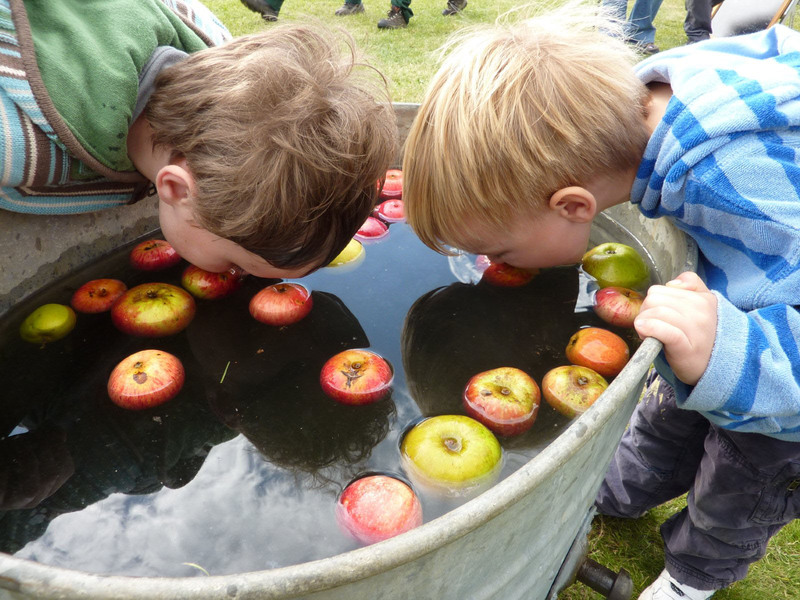 HEALTHY APPLES & KIDS SALIVA - YUMMY!! Of course, whether we’re asking for romantic advice or trying to avoid seven years of bad luck, each one of these Halloween superstitions relies on the good will of the very same “spirits” whose presence the early Celts felt so keenly. Thanks to those nice bods at the History Channel for giving us some information. 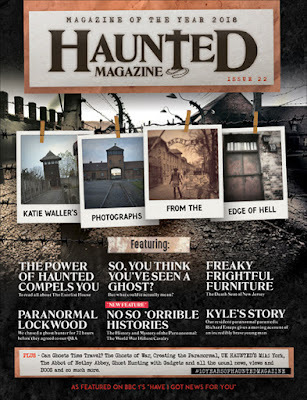 Haunted Magazine #22 Out Now! This issue is packed full of the usual things you expect from Haunted Magazine but is probably the darkest that we've made. 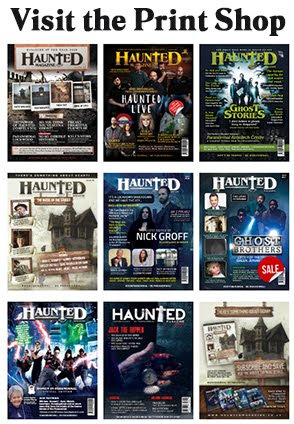 Our excellent writers always provide a supernatural rollercoaster ride of all things paranormal that we hope you love. When we knew that one of our writers Katie Waller had been to Auschwitz, we knew what we had to do. The photos she took are simply amazing of a place on many paranormal investigators bucket list, that never should have existed. Out Now. All magazine orders placed before 3pm UK time & will be posted on the same day as order. Please allow up to 28 days for delivery for some international orders. We retain all proof of postings. Now That's What I Call Haunted! 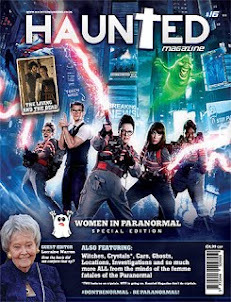 Issue 11 - Who you gonna call? Issue X - with X Appeal! Issue 4 - Back to our Roots! Issue 0 - Where it all began! 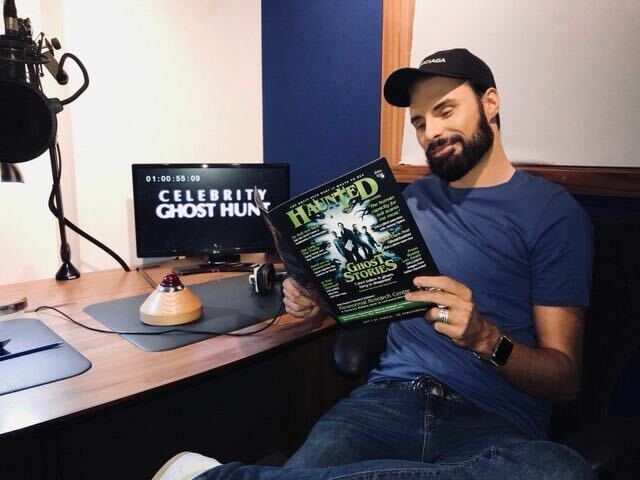 VR PARANORMAL, the future of Ghost Hunting?? AN HUMBERSIDE WEREWOLF IN YORKSHIRE!!! HELP! THIS BLOG POST IS HAUNTED! An Englishman, an American Man and a French Woman walk into an interview.. 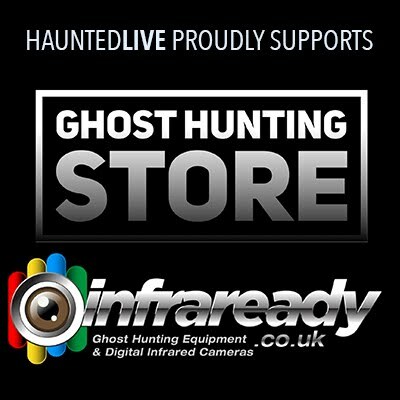 HAPPY BIRTHDAY TO THE GHOST HUNTING EQUIPMENT THAT PROVES GHOSTS ARE REAL!! SNAP, CRACKLE AND POP... A popular description of a cereal? Or the sound of your neck breaking? YOU DECIDE!! (c) Dead Good Publishing 2017. Simple theme. Powered by Blogger.